The product types in industrial chemistry suggest persistent engine capacities, consistent with the viscosity and physicochemical properties of the fluids: greases with conventional and specialized application, antifreeze, windscreen fluids, washing fluids for household and industry, icing fluids, anti-foaming agents and other non-standard products. The specialized filling valves of the machines are specially targeted to these products, able to provide filling without foaming, without splashes and without drops outside the container. The shape and the volume of the containers itself vary respectively there are varied closing modules. The multiblocs from the Pragmatic 46PO or Pragmatic 49 Weight Tech series are a good solution for such products in standard execution. The filling lines could be with machines from the IND-Dose 41 and IND-Dose 43F series with filling without contact as for floor and windows cleaners, and industrial chemicals such as motor oils, radiator fluids, brake fluids and other. 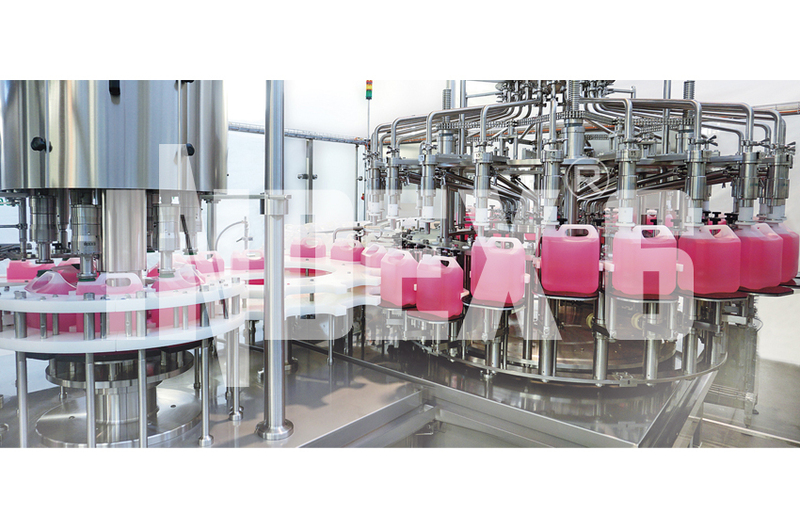 Optimal solutions are also the weight filling bloc systems from the Pragmatic series (46PO; 49 Weight Tech in combination with the chosen type of cap).The special features of the geometry of the package determines the leading filling and capping modules. The complete filling lines are integrated with labeling machines for self-adhesive labels, hot-melt labels or thermo-shrinkable (sleeve) labels, machines from the IND-Lab series. 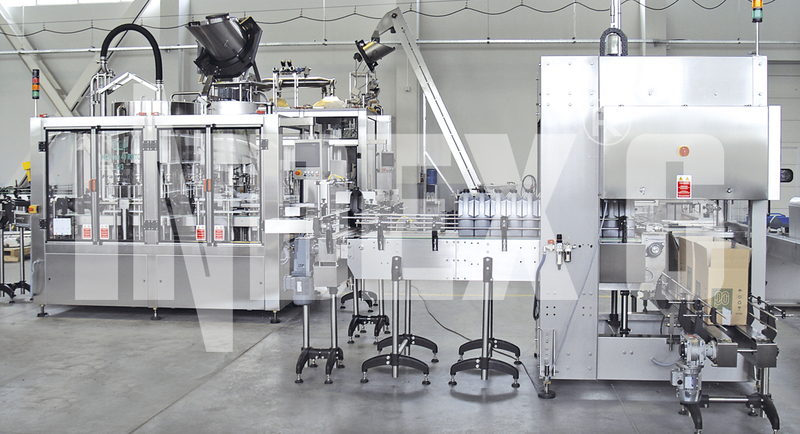 At the end of the filling lines we offer our machines for group packing in shrinkable film (IND-Pack 29) or for grouping in cardboard boxes (IND-Pack 24), and various configurations of palletizing systems from IND-Pallet 23PL series. 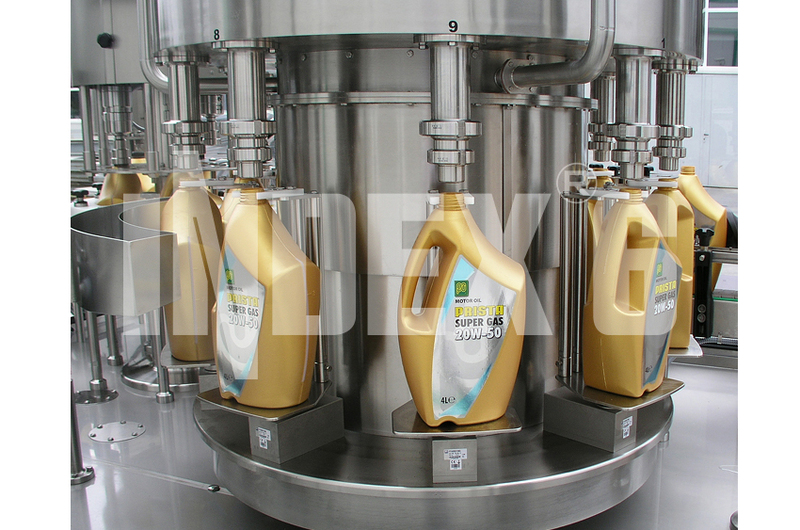 The advantages of the complete filling lines are in the increasing of the efficiency and elimination of the manual labor, very good appearance of the product and precise multi-packs and pallets.